It all started with a blue heron and a washing machine. Early one morning I stepped out of my home and admired the beautiful creek right outside my door. As I scanned the creek, I found what I was looking for, a beautiful blue heron. However, what he was perched on wasn't so beautiful. The elegant bird was standing on a rusty washing machine someone tossed in the creek years ago. I realized I had been looking at the washing machine for years just wishing it would go away. On this day, in the fall of sophomore year, I decided I was finally going to clean up not only my creek, but the surrounding creeks and rivers as well. I realized I couldn’t do it alone, so I called all my friends and created Clean Creeks Football Club (CCFC). 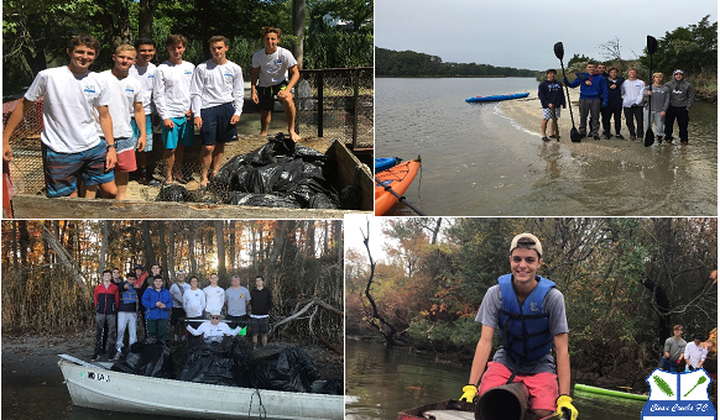 Our mission was to rid the Chesapeake Bay of litter through youth led competition and fun. Leading CCFC has taught me skills that you cannot learn in school or in most work environments. I have created an environmental organization from scratch and so every day was an experiment. I faced problems around every corner and by the next cleanup a new rule or a different leadership approach would squash the problem. 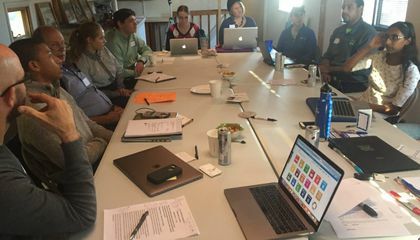 Every day we had more members, more kayaks, more places to go, and more mentors and environmental organizations to help us. I learned to motivate groups of people, how to improvise, how to organize, how to make videos and films, how to make a website, how to keep records, how to tie knots, how to deal with stressful situations on my own in the middle of the river. These lessons I will take with me for the rest of my life. Not only did I learn valuable lessons, but I got to connect with old friends and new friends alike as well as share the wonders of the Chesapeake Bay with people who don’t normally get to experience it. The comradery, jokes, and teamwork present at each event made for a unique and fun experience that I will never forget. CCFC isn’t just a club to me, it’s my life. CCFC is just one example of a successful teen led environmental group. CCFC can serve as an inspiration for other teens to act and join the GCLN Eco-Teen Network. 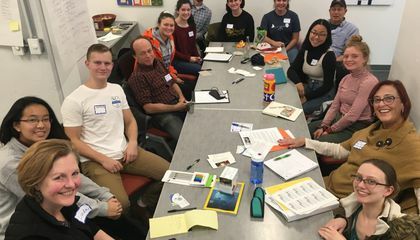 As CCFC grows and its impact spreads other teens can create their own clubs and share their ideas and achievements on the GCLN Eco-Teen Network, so all youth environmental groups can have a support system and a steady flow of new ideas and inspiration.